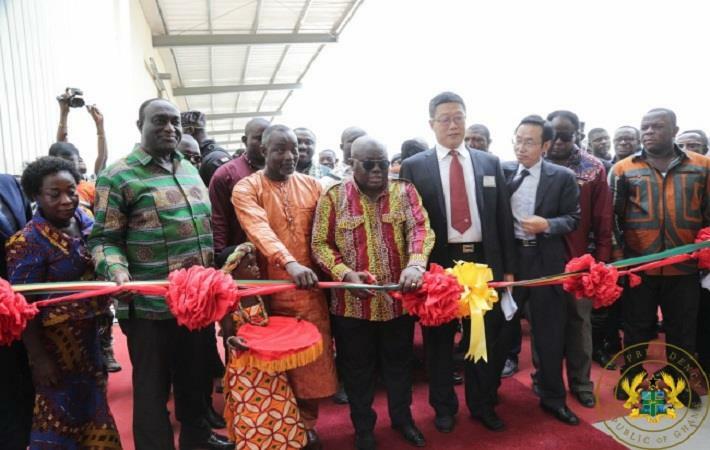 The President of Ghana, Nana Addo Dankwa Akufo-Addo, has commissioned the Sunda Ghana Diaper Ltd, the largest diaper making factory in Ghana. With an investment of $84 million, the company will be one of the largest projects operating under the One District One Factory (1D1F) initiative and will be exporting its products to markets in sub-Saharan Africa. Sunda Ghana Limited is set to establish two more factories under the 1D1F initiative, i.e Homepro Ghana Limited with an investment of $26 million and Sunda Hardware Limited with an investment of $18 million, according to a media statement made by the office of the President, Ghana. Apart from establishing a strong macro economy, providing good governance, the President noted that the other important contribution of government to the economic development of Ghana is to make sure that Ghanaian industries, and industries established in Ghana, do not meet unfair competition from others.